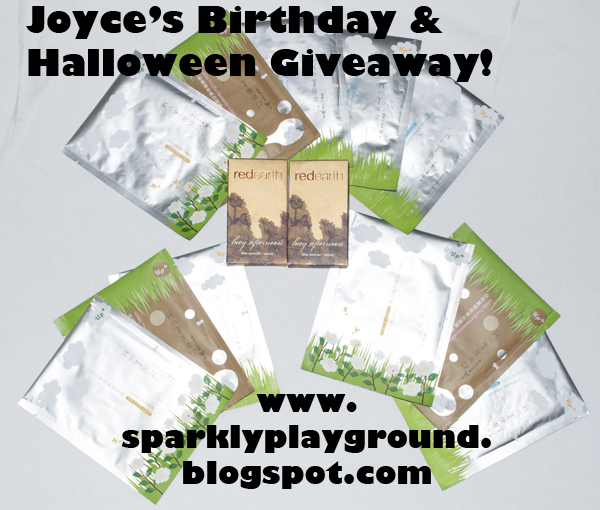 Birthday / Happy Halloween Giveaway!! Please watch this video for all the information on Rules and Prizes. - highly moisturizes, leaves skin fair, and diminishes the appearance of fine lines. It is suitable for dry and dull skin. - leaves skin whitened, flawless and lightened. It is suitable for normal skin, especially recommended for dull skin. - is an anti-oxidizing mask that provides super long-lasting hydration. It is suitable for normal skin, especially recommended for dry skin. - Must use the form to Enter the giveaway. - Comments in here will NOT be counted for this Giveaway. FTC: I have purchurased these prizes with my own money and also mentioned where I got it from in the video.